The 'Abanoz' was arrested by the 1st Hall Civil Court, at Marsaxlokk Anchorage, on June 28, 2018, due to unpaid bunker expenses. The departure permission was cancelled by the Harbour Master until payments of credit, together with legal expenses. Eventually, the payment was made by the agent on behalf of Owners. Upon completion of formalities, the vessel was granted departure permission and resumed its voyage inthe morning of June 29. 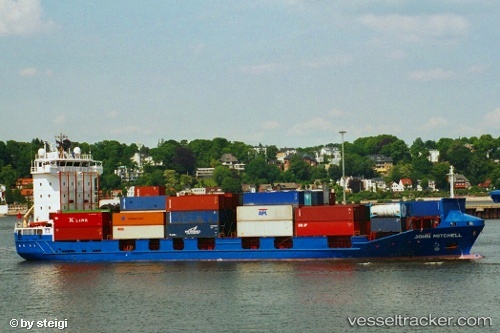 On Mar 18, 2010, at 10.50 a.m. the police in Kiel found out during a port control that the "John Mitchell was overloaded by 200 tons with pot ash and as a consequence had 13 centimetres more draught than allowed. There was no ballast water in the tanks to get the ship lightered by pumping it out. A safety fine of 1470 Euro had to be paid. The ship, after the fresh water was lightered, was allowed to enter the Kiel Canal and proceed to Rendsburg , where the overload will be removed. The ship berthed there at 8 p.m.